Many large consumer marketers now are spending (easily) millions of dollars annually to promote their brands on Facebook, Twitter and other social media platforms. What does a large advertising campaign look like? 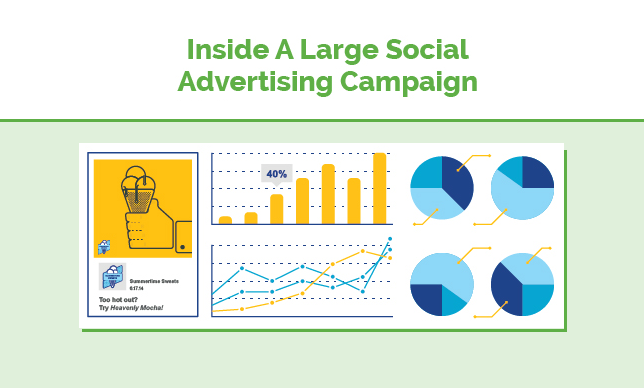 To illustrate, the team at SocialCode created an infographic that presents the entire life-cycle of a large social advertising campaign for summertime sweets, a make-believe ice cream brand.